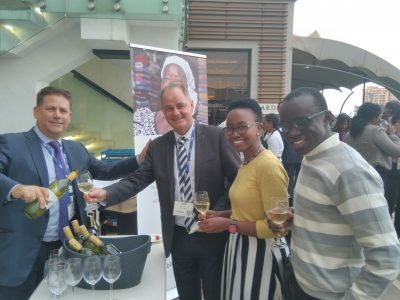 Last night Bluechain celebrated the company’s formal launch into Kenya with a reception hosted in conjunction with the Australian Trade and Investment Commission (Austrade) during the Seamless East Africa 2017 Financial Inclusion Summit at the Radisson Blu in Nairobi. 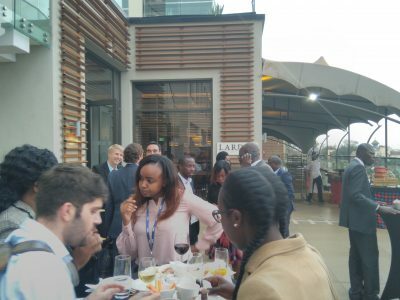 The celebration formally marked the opening of Bluechain’s first African office and subsidiary in Nairobi, Kenya. 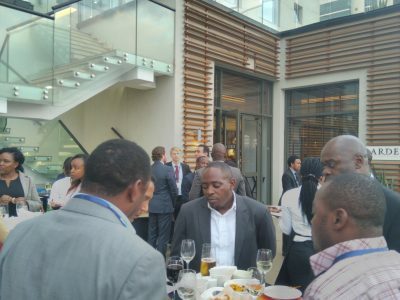 It was hosted together with representatives from Austrade and Bluechain’s Managing Director of Africa, Yoku Korsah, and the EVP of Sales and Marketing, Kurt Mueffelmann. We thank Austrade, the organizers of Seamless and our distinguished guests for helping us celebrate this milestone with Bluechain. We are pleased to call Kenya home as we grow our presence in Africa. Our technology’s ability to provide financial inclusion for the un-banked and create a cash-lite society allows us to help facilitate the continued growth and develop Africa’s economy, and drive commerce across trading partners through all channels of payments.